I returned from Iceland last week after spending ten full and long days photographing some of Iceland’s most iconic and many other spectacular locations. I have barely had time to unpack my gear and upload images from memory cards, but made time to process a few images that caught my attention while uploading them. Since I am still excited about this amazing photography experience, I want to share that excitement by sharing those first processed images. When I am caught up and have processed more images, I will begin writing a series of articles about my trip and include more images. In the meantime, here are those initial images. 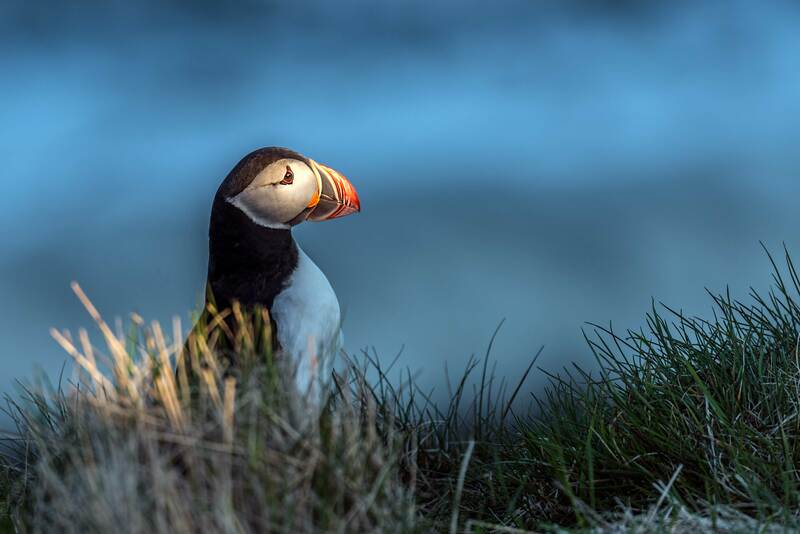 The above photograph is a 12 image panoramic taken on the last day of the trip (go full screen and click on it to see more detail), and below is an Atlantic Puffin lit by the setting sun. I was hoping the Puffins had returned from the sea to their nests so that I could see and photograph them. Well, they had! 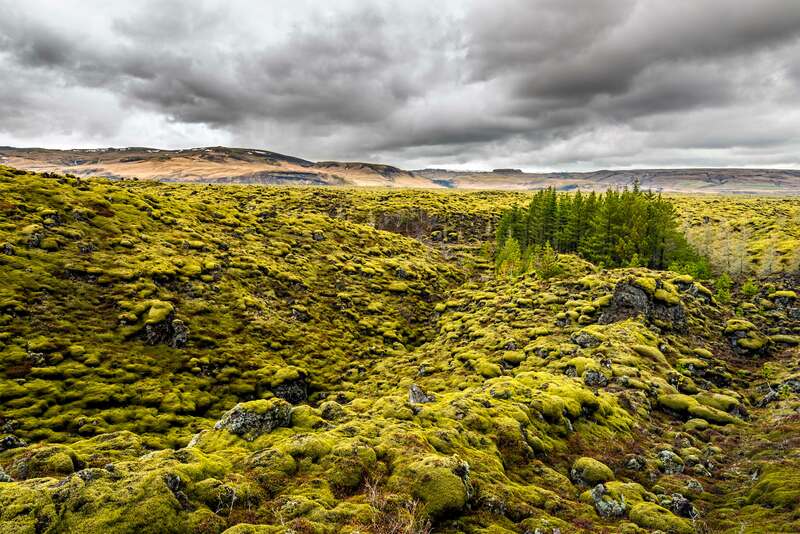 Below is the Skaftáreldahraun lava field covered in green moss and with a small group of trees, which are somewhat rare in Iceland. I will probably write an article just on Iceland’s unusual and beautiful lava fields. Below is a panoramic image of Lómagnúpur mountain and its reflection in the nearby water. 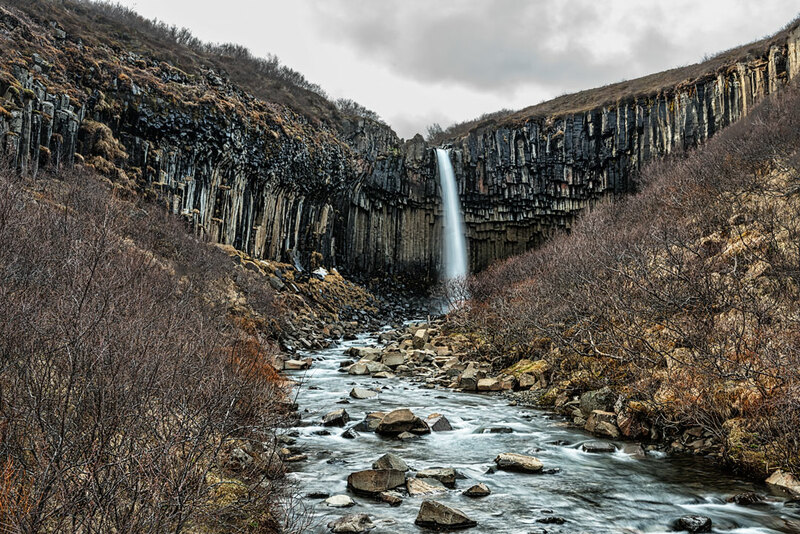 Below is one of the many waterfalls that I saw and photographed — Svartifoss Waterfall. Many of the others were larger and more spectacular. I will be writing an article on the waterfalls. I loved Iceland for many reasons and am looking forward to telling and showing you more. 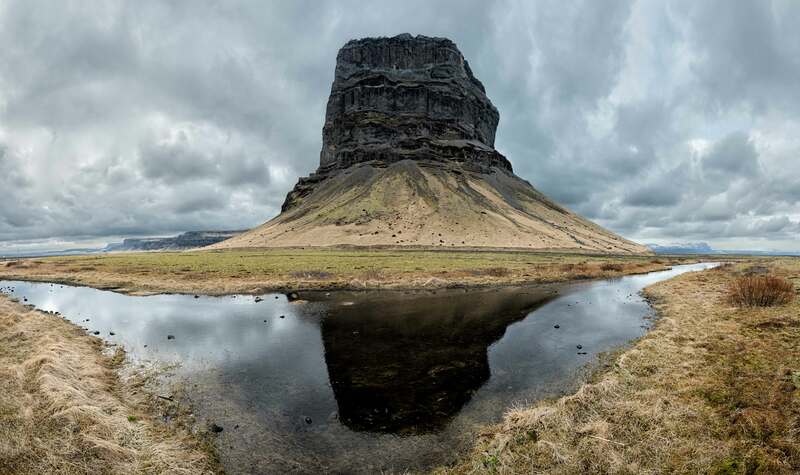 Photos of Iceland are amazing. What a great trip to have taken! Nice introduction to the places and things that we saw on this trip. It was a physically hard trip, but we loved every minute of it and as your excellent initial images show, it was an unbeatable photographic experience. I very much look forward to seeing the images that you captured in future posts. Spectacular images! Love it! Your puffin is lit so beautifully. I recognize the mountain reflected in the water – beautiful. The panorama is gorgeous. The lava fields are amazing – it seems like another planet. We think it is a photographer’s paradise! Yes, it is a very nice introduction and thanks for that. I will be looking forward to many more wonderful stories and images from the photographer’s paradise. I cannot wait for my upcoming travel to Iceland in October!! Welcome back! So lovely, and I look forward to seeing more and I enjoy your narratives as much as the photos. What beautiful and amazing landscapes in Iceland. You were so lucky to be able to go and capture the beauty there, and we are so lucky to be able to see it through your lens!